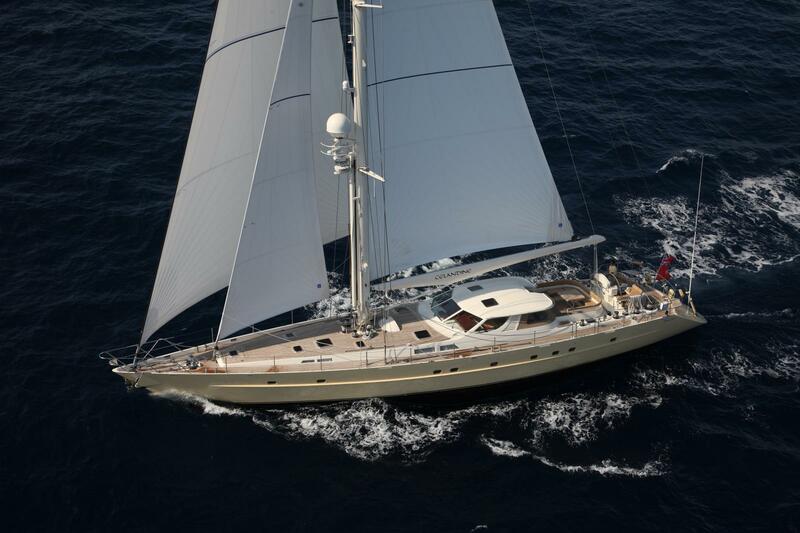 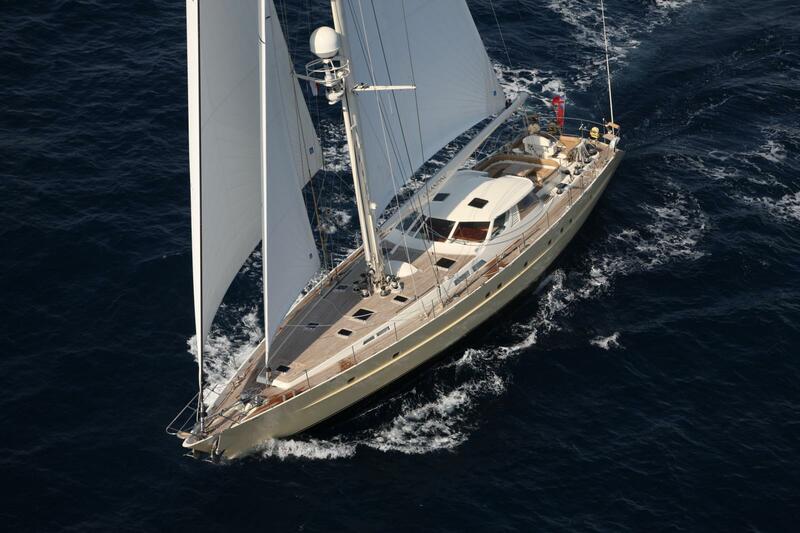 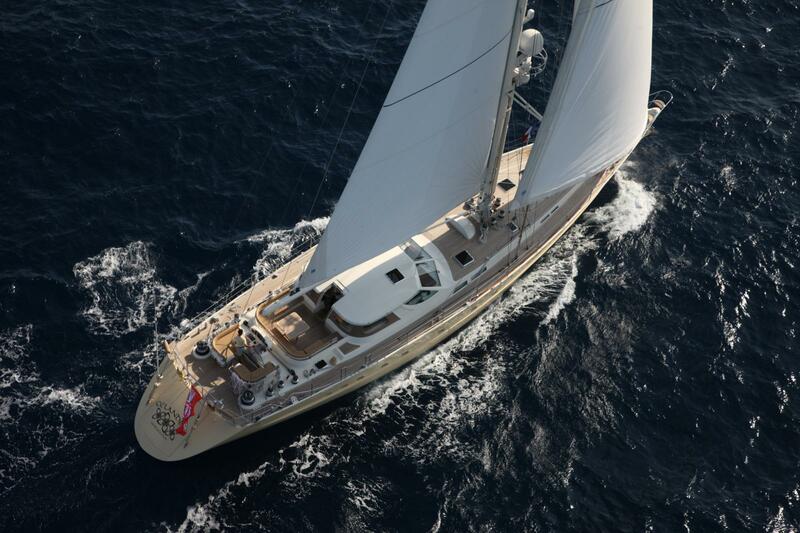 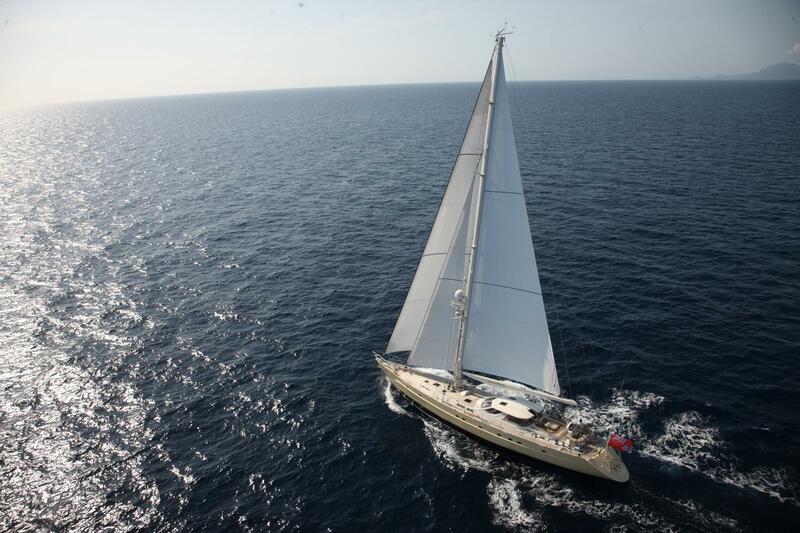 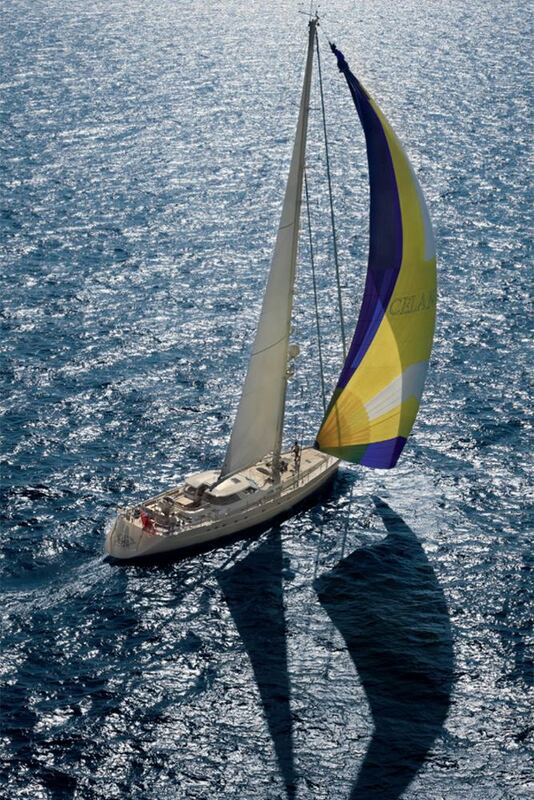 Sailing yacht CELANDINE is a 29,73m (97' 6") cruising yacht, built by Jongert in 1993. 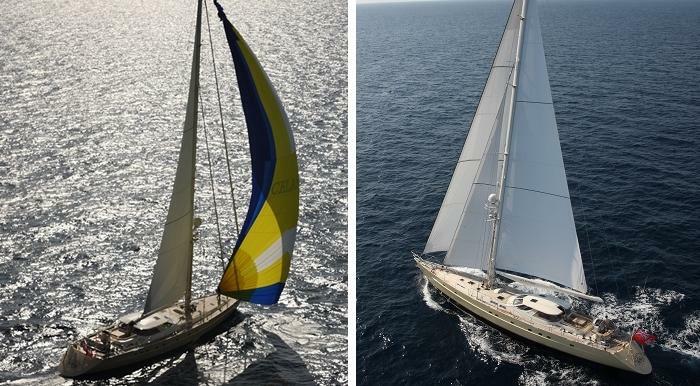 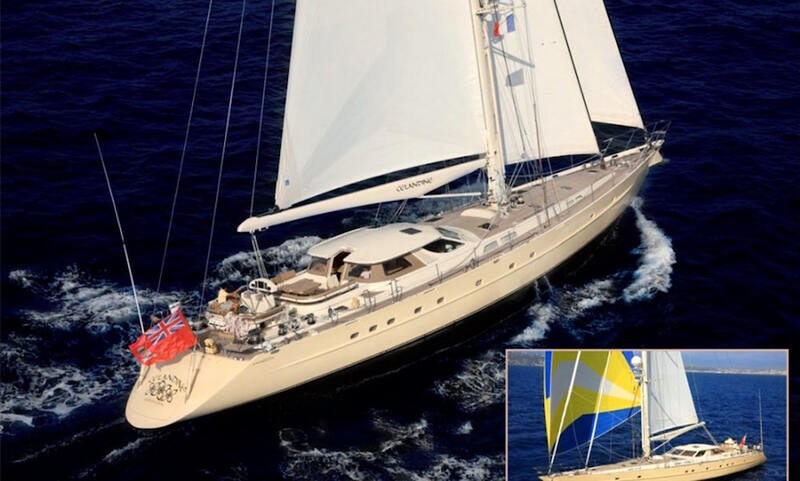 She features a combination of grace and elegance and although classic in her design, this sailing yacht benefitted from modern construction and a comprehensive refit in 2008. 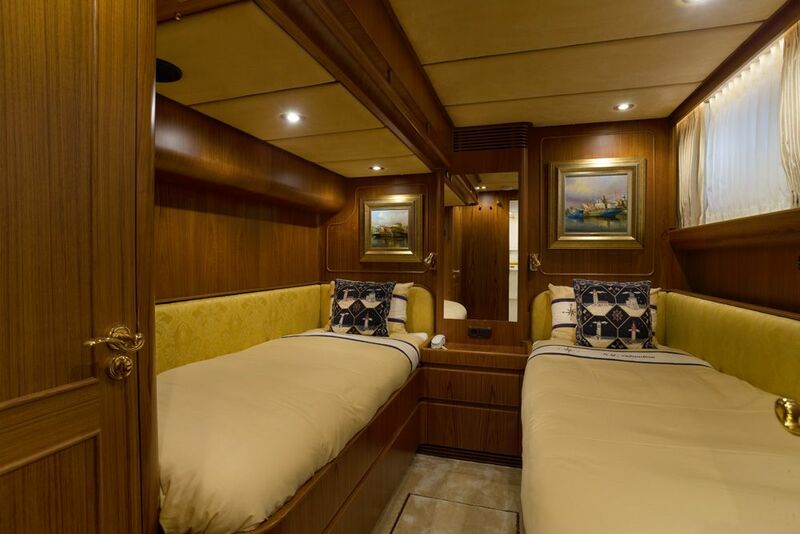 Accommodation onboard is offered for six guests in three cabins. 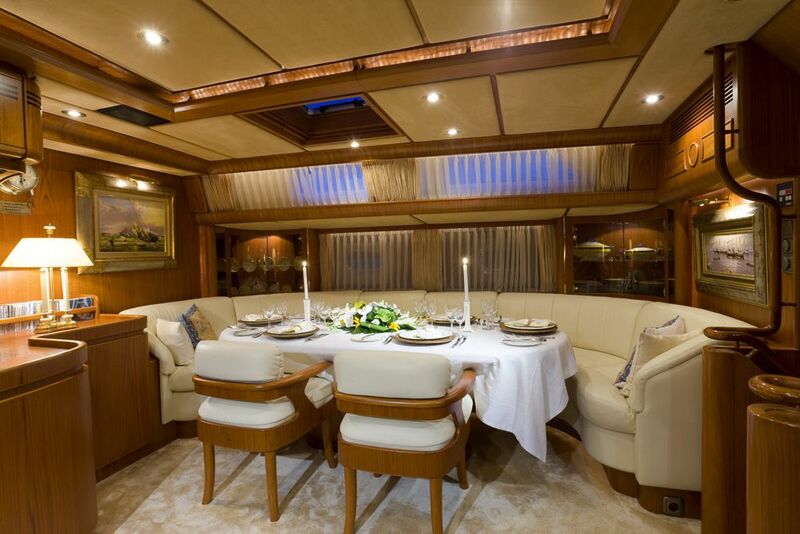 Her main salon has a large dining table, a TV set with an A/V entertainment system, and a seating area. 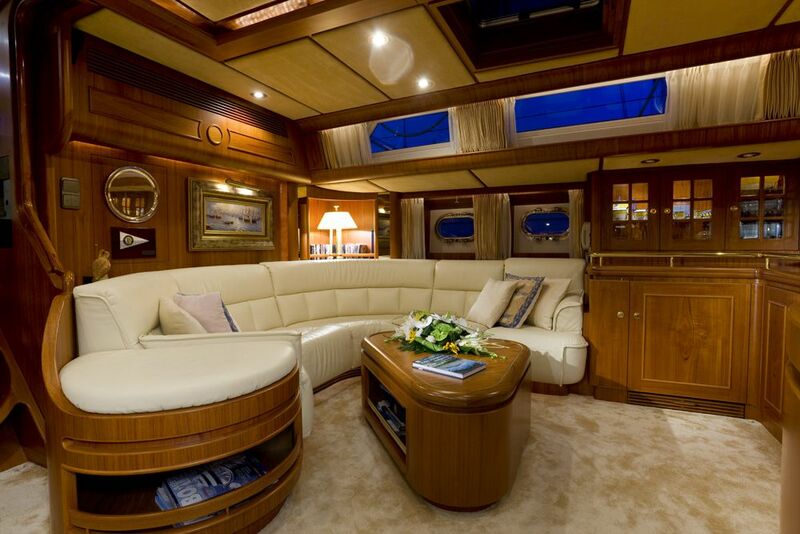 Charter guests will enjoy the stunning panoramic views from the salon, whether it's a striking sunset in a romantic destination or a thrilling racing event. 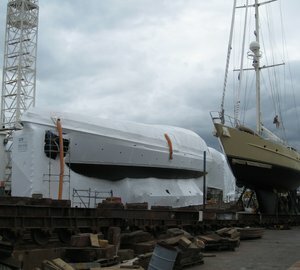 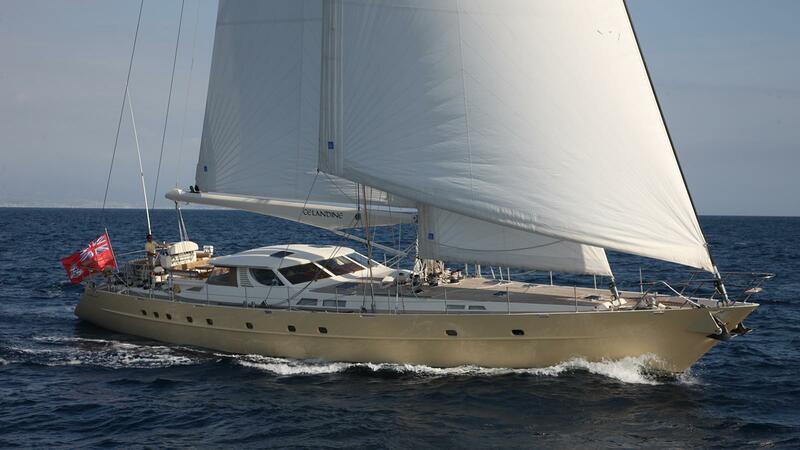 Luxury sloop CELANDINE is fully MCA commercially registered. 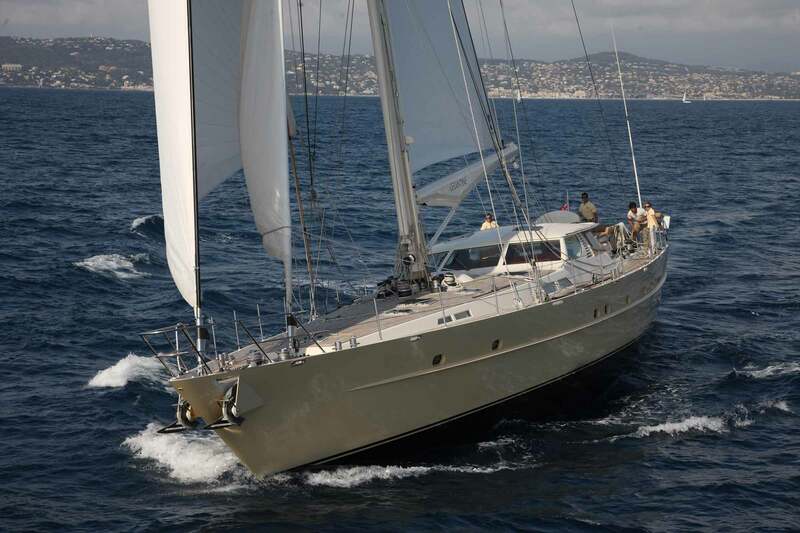 She is powered by a 300hp MTU engine and has a cruising speed of 10 knots with a range of 2,500 nm. 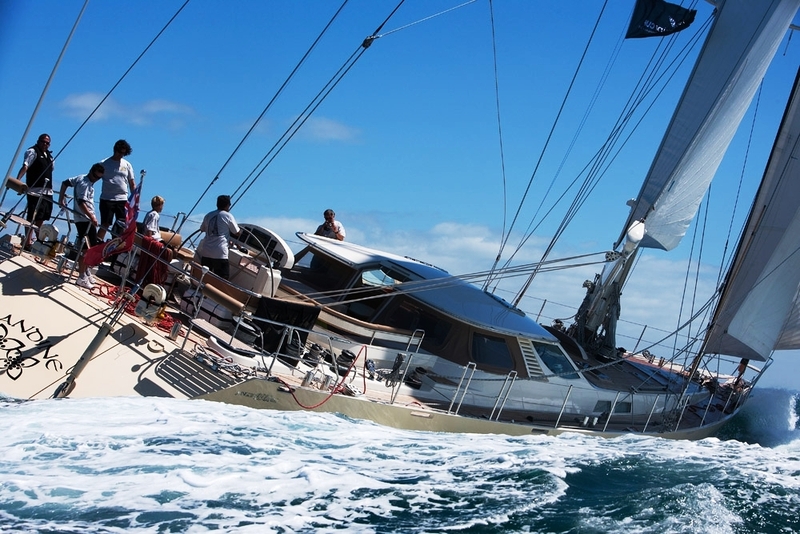 The 95 ft (29m) cruising yacht CELANDINE won the first New Zealand Marine Cup, the Kiwi Kawau Challenge, sailed on Thursday 4 March 2010. 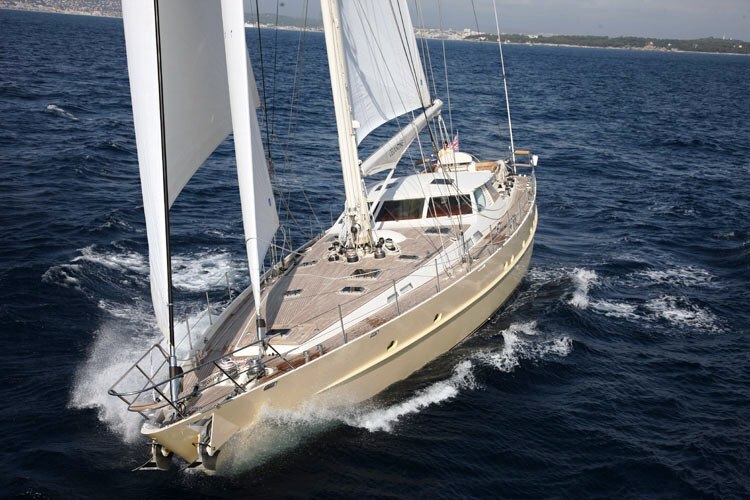 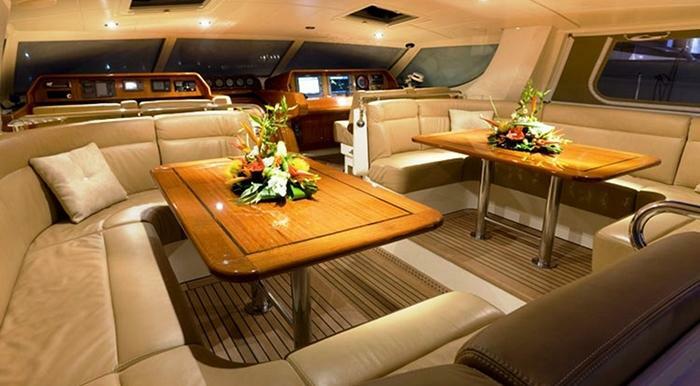 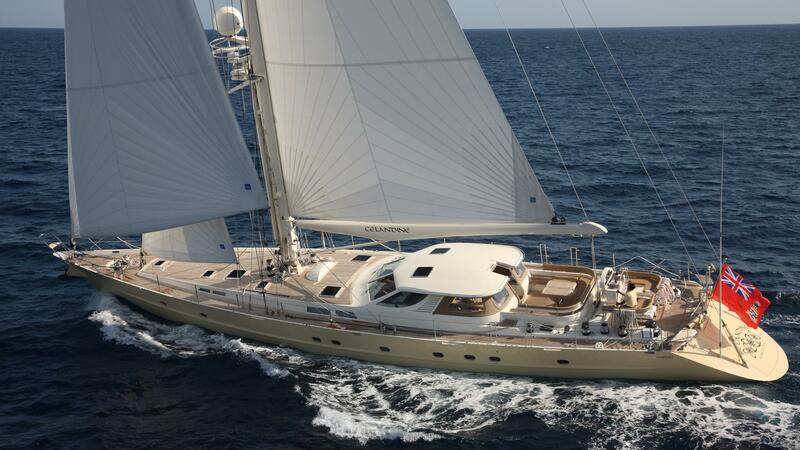 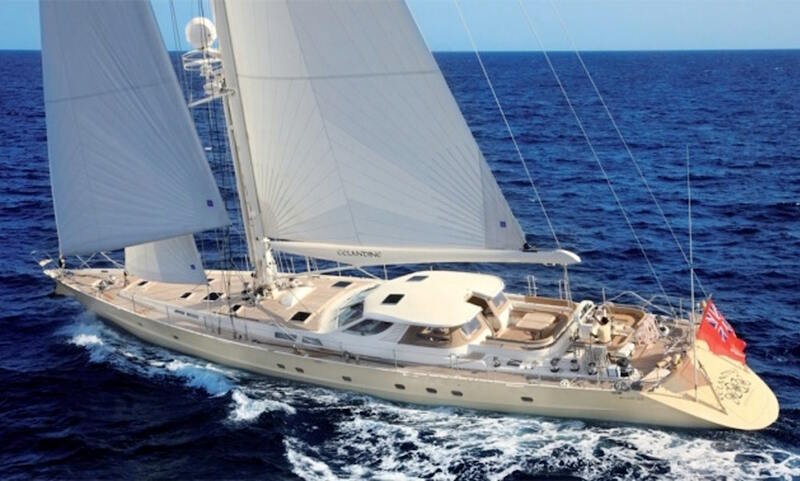 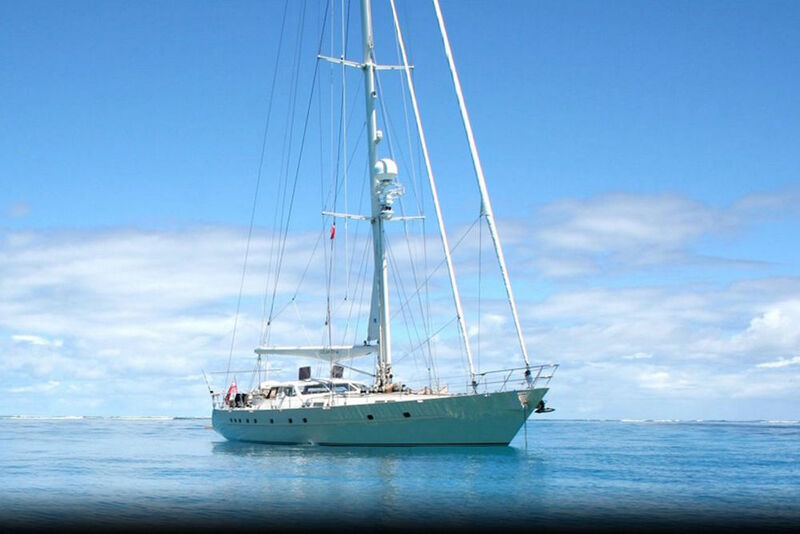 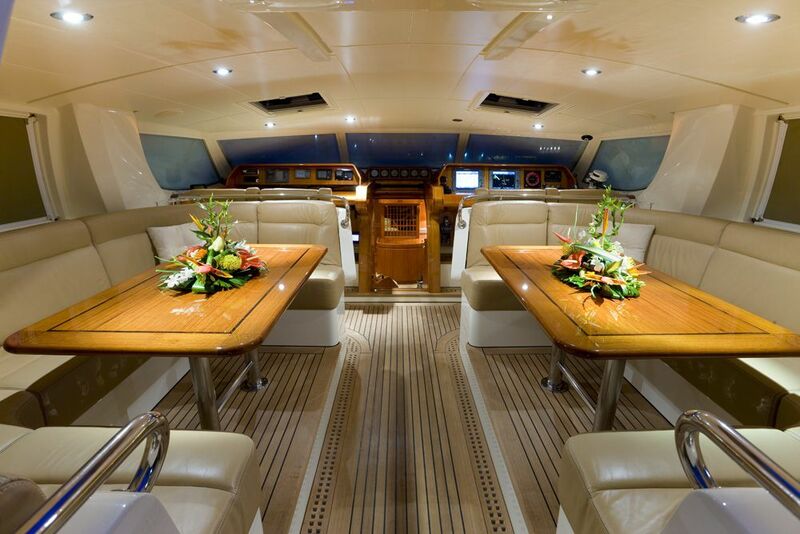 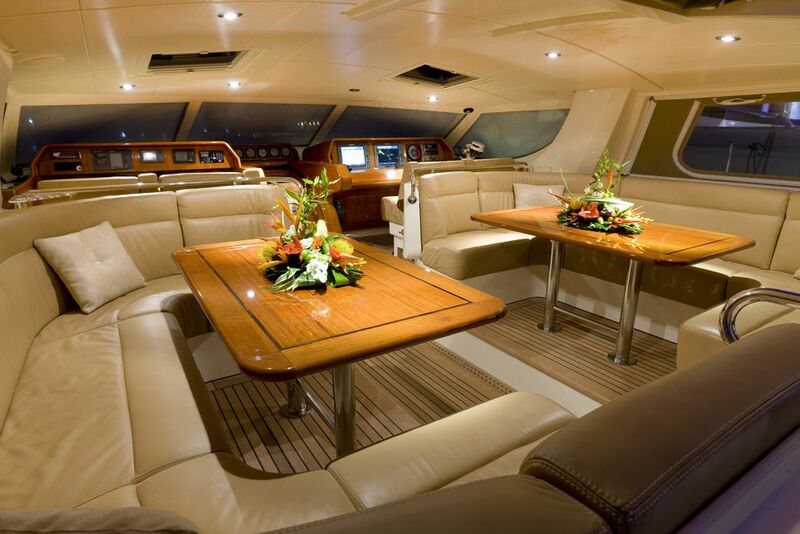 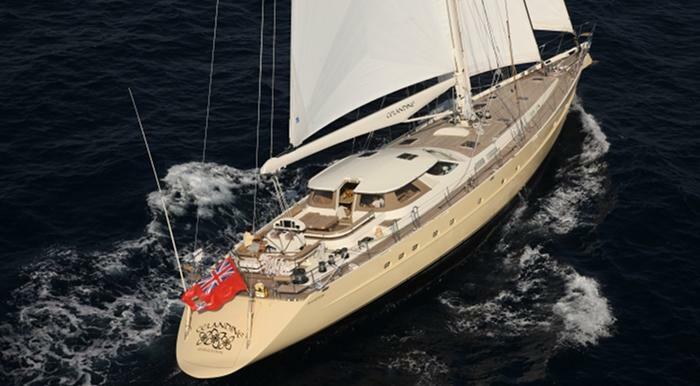 Sailing yacht CELANDINE is able to accommodate up to 6 guests in 3 cabins. 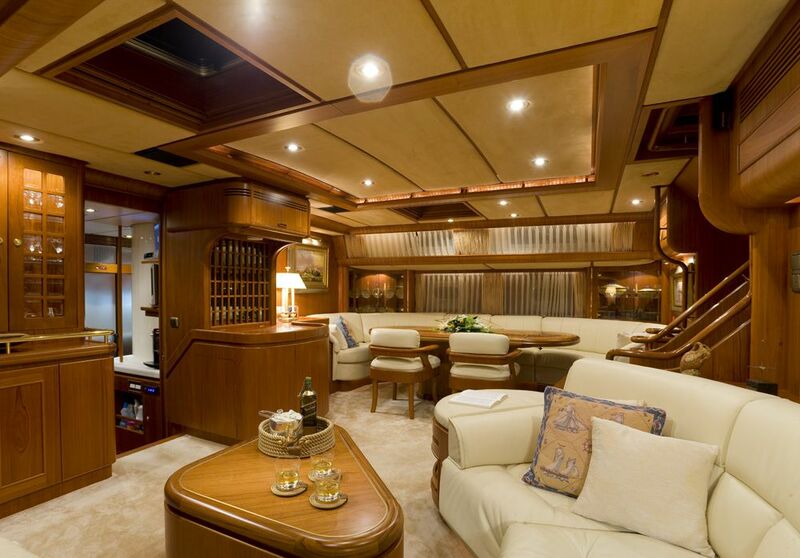 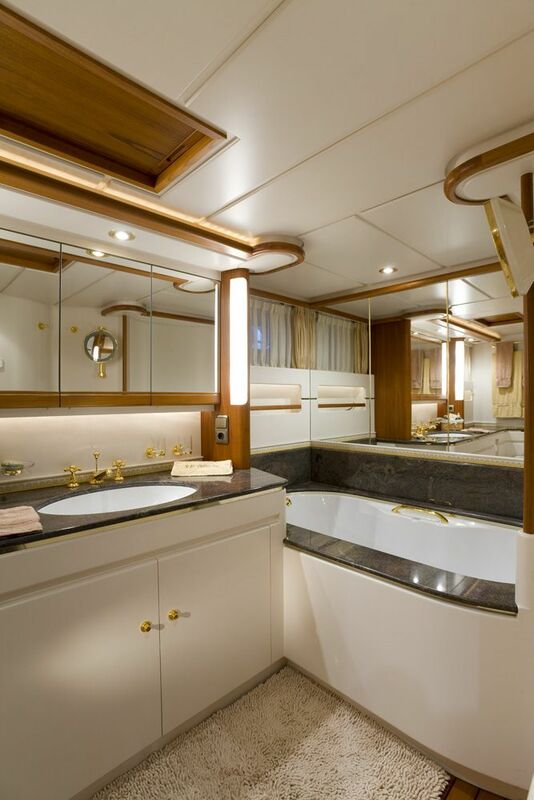 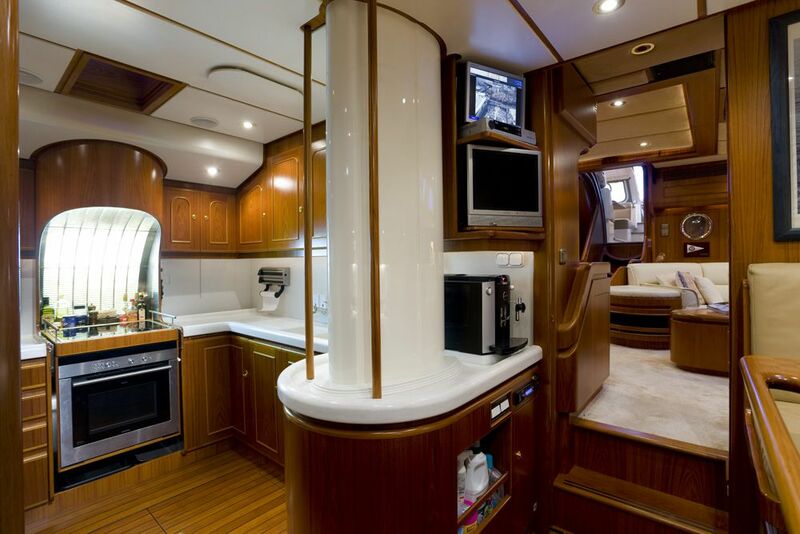 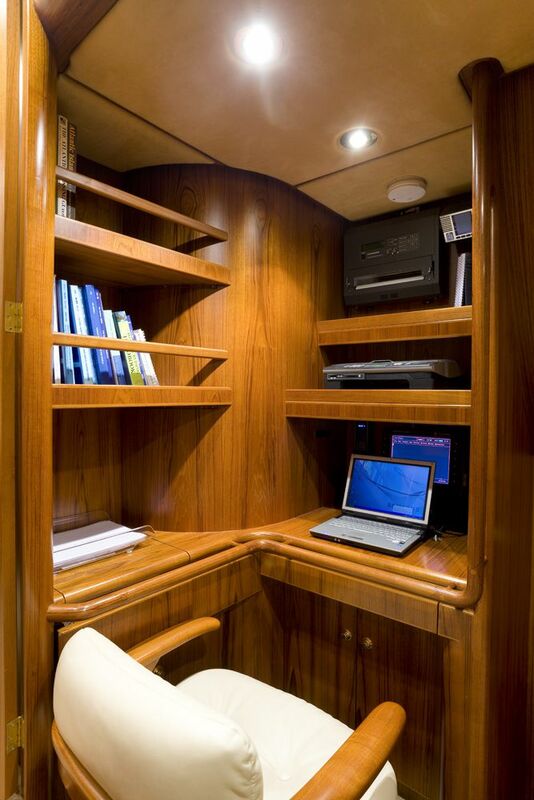 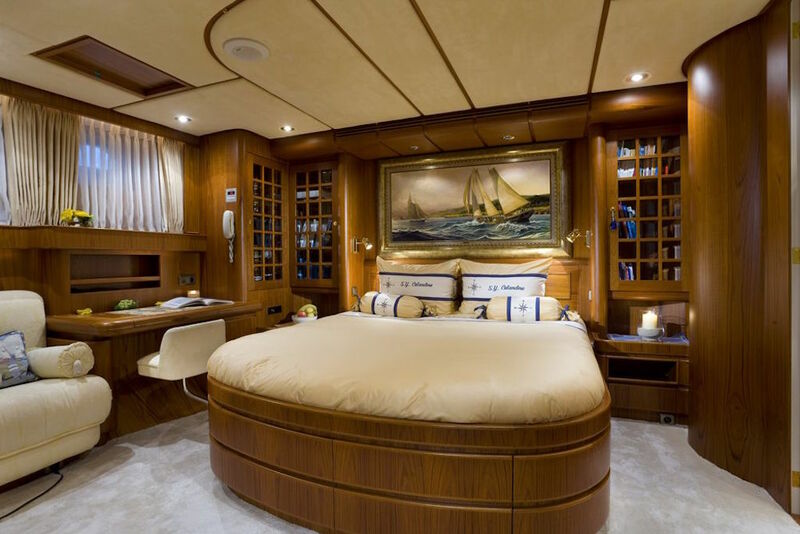 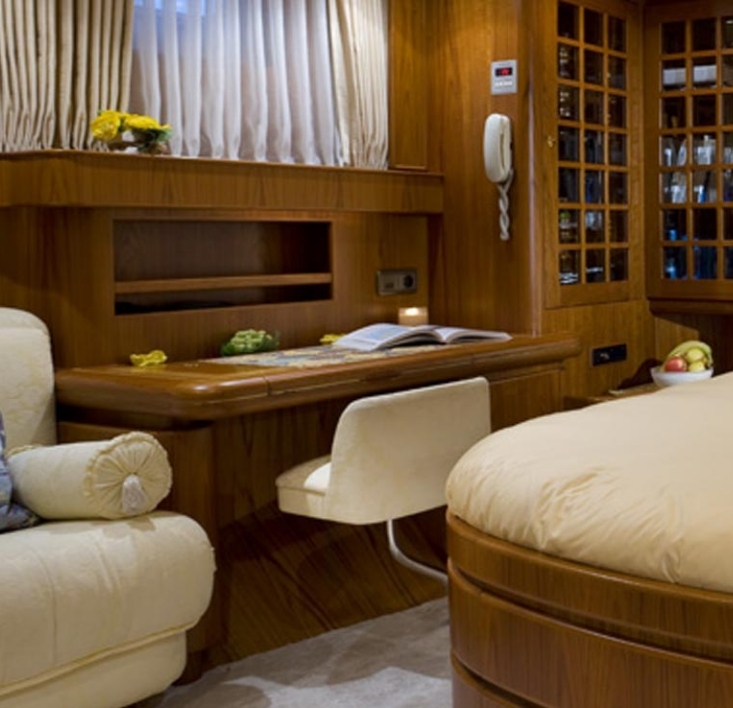 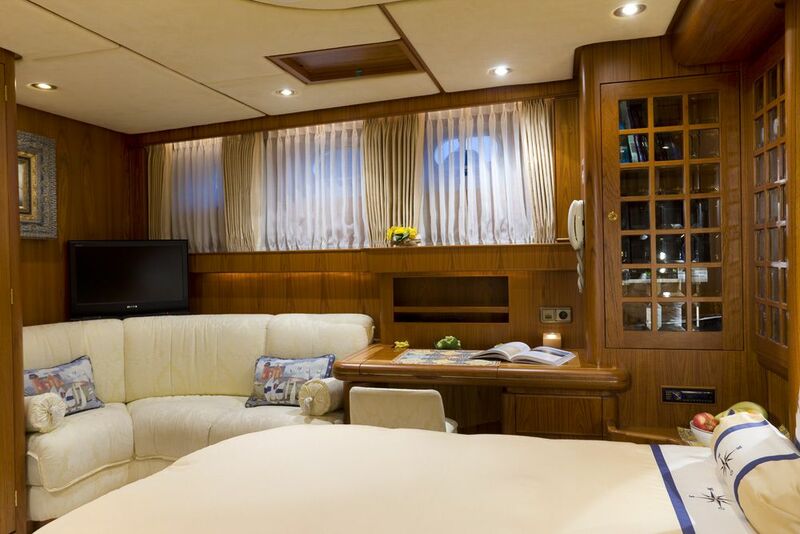 Her luxurious Master cabin has a centreline bed, a sofa and a writing desk along with an ensuite bathroom. 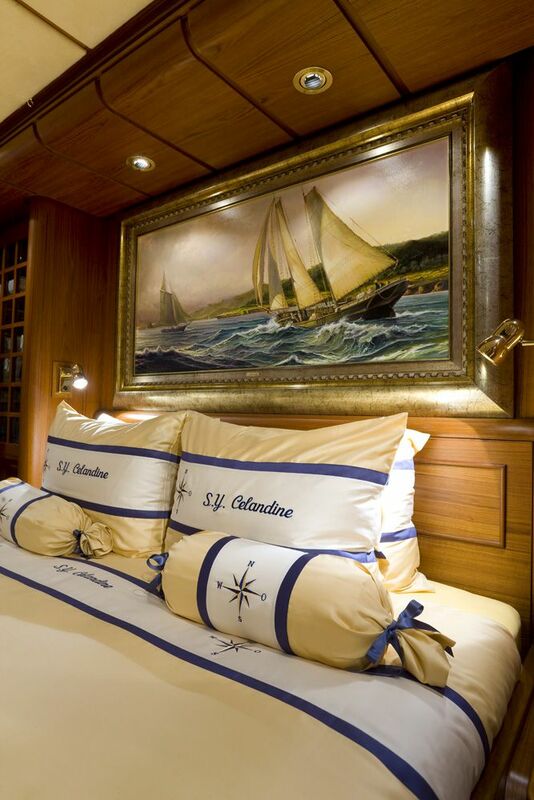 The two remaining cabins have twin beds beautifully fitted with nautical art work. 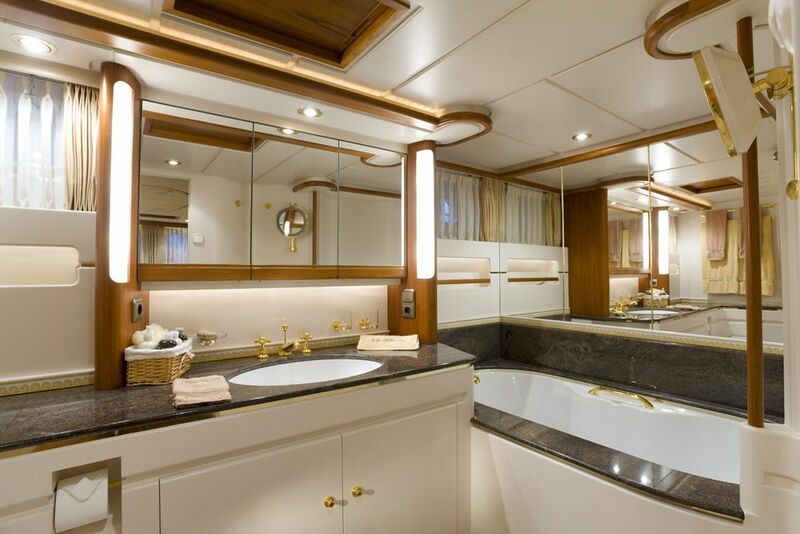 Each of the twin cabins also has ensuite facilities. 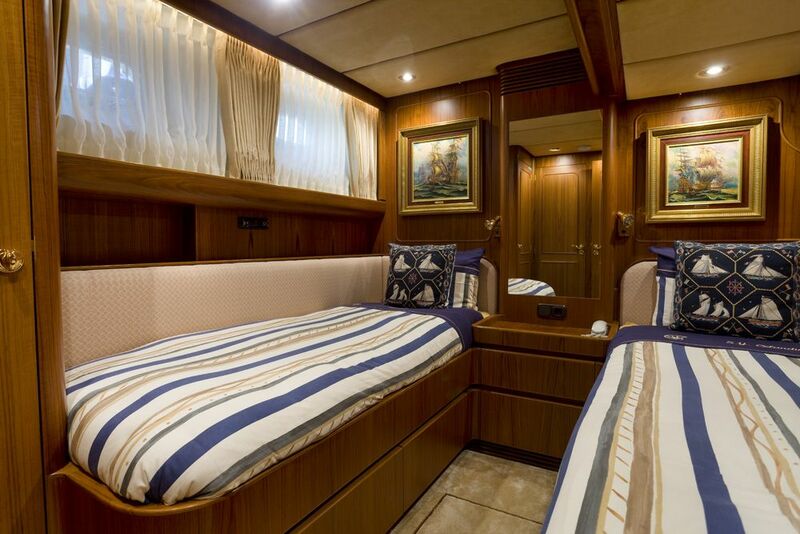 Tenders & Toys include a 4.30 m Novurania 60Hp (2008) 4 stroke, a Crew tender 8Hp 4 stroke, Diving equipment and compressor for 4 Pax, a Wakeboard, Big game fishing gear and Ball trap equipment.